In this research a business case study is conducted to answer the research question: “How can the agility best fit within the supply chain strategies?” This business case study is applied on Delta Electrical Appliances (DEA) Company, a member of “Olympic Group”, the Egyptian market leader of home appliances. This research contributes to literature by developing the DESC (Differentiated enlightened Supply Chains) framework that consolidates three analyses to pave the road for differentiated supply chains management through which, every different supply chain is managed differently to serve for different order winning criteria those are considered from multiple perspectives. 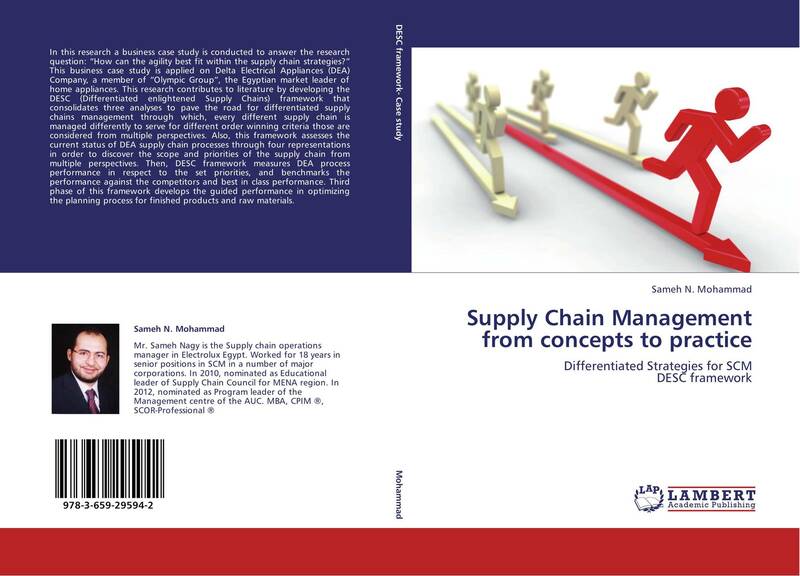 Also, this framework assesses the current status of DEA supply chain processes through four representations in order to discover the scope and priorities of the supply chain from multiple perspectives. Then, DESC framework measures DEA process performance in respect to the set priorities, and benchmarks the performance against the competitors and best in class performance. Third phase of this framework develops the guided performance in optimizing the planning process for finished products and raw materials.